Rig Floats are great for crawler harnesses, walleye rigs, steelhead spinners, and many fly fishermen use them as strike indicators. A flash of fluorescent colour will also attract fish right to your bait. 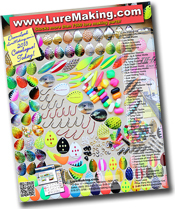 These floats will keep your bait right where the fish are and away from snags. 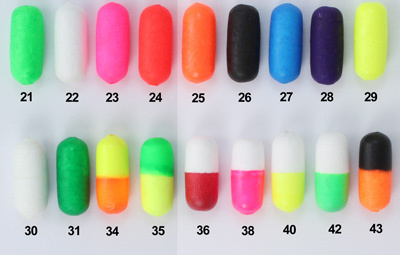 Available in three sizes and 15 colours to meet all of your lure making needs. Made from stryene. Please specify colour code, the two digit code in brackets, when ordering by phone, email or mail.